Orthodontic treatment offers multiple benefits to patients of all ages. For children, correction of bite irregularities helps ensure proper development of the teeth and jaws. In teenagers and adults, orthodontics provide lifelong correction for better appearance and oral health. Today, patients can choose from a number of options depending on their degree and types of malocclusion as well as their treatment goals and preferences. Many patients seek orthodontic treatment for aesthetic improvements, but the advantages of bite correction extend far beyond appearance. According to our Los Angeles orthodontist, teeth that fit together properly are more effective at breaking down food, which supports overall health by easing nutrient assimilation. Elimination of gaps and improper tooth rotation reduces risks of tooth decay and gum disease by ridding the mouth of spaces that collect food particles and resist cleaning. Finally, tooth damage during chewing is less likely to occur after orthodontic treatment. Metal braces were once the sole option, but patients today can also choose invisible braces such as Invisalign when they visit our expert in orthodontics in Los Angeles. While metal braces involve considerable discomfort, inconvenience and unsightliness, invisible braces largely avoid these issues. However, metal braces retain their role as a primary orthodontic treatment because of their suitability for younger patients and their status as the best choice for certain types of bite irregularities. With Invisalign, patients enjoy discreet correction, greater comfort and fewer visits during treatment. Both options tend to take about ten months, but treatment time may be shorter or longer based on individual differences. According to our Los Angeles orthodontics expert, patients who receive orthodontic correction receive lifelong benefits in terms of oral health and appearance. The ability to choose between metal braces and Invisalign means that suitable correction of teeth is possible for more patients. For busy adults who want to maintain a professional appearance during treatment, Invisalign is often the top choice. To learn more about the benefits of orthodontic treatment and determine eligibility for available options, patients can contact our orthodontist in Los Angeles for a consultation. 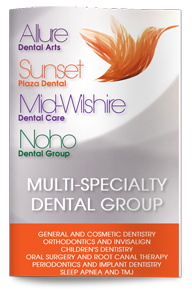 © 2014 Orthodontics-LosAngeles.com. All rights reserved.